I started saving with Walgreen's for two reasons. First, they're everywhere and second, it's so convenient it's silly not too. Walgreen's can be confusing though so I will try to keep this as simple as possible! Coupons.com has added new coupons! New coupons include offers from Conair, Diamond Crystal, Garnier, Nature Pride, Steamfresh and more! Similasan Ear Relief, $1.00/1 ..
Don't wait these offers go fast & have limited quantities, print your coupons now! Click HERE to print the 40% off 1 Item of Regular Price coupon. Valid 11/23-11/27. Santa Buddies & Snow White for only $8.98 at Toys R Us! 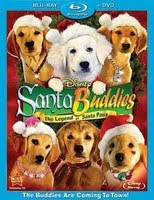 Disney's Santa Buddies will be released on Tuesday, November 24th. It will retail for $19.99 at Target. Santa Buddies: Get $5 back by mail WYB Santa Buddies and a Butterball Frozen Turkey. That makes the movie free! Receive an $8 discount from Toys R Us for buying both movies. Plus since it's over $40 in Disney movies, you will receive a $10 gift card. Your total will be a $1.02 profit! 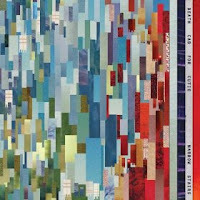 Monday's special album is Death Cab For Cutie : Narrow Stairs . On sale Monday only for $2.99. Regular price $8.99. TODAY ONLY - Amazon.com Wii & Wii Fit Bundle + $50 Gift Card! Amazon.com has a SUPER HOT deal on the Wii and Wii Fit Plus Bundle. If you buy the Wii and Wii Fit together, you get a $50 Amazon.com gift card. That makes it just $239 for both!! So here's how it works. Go HERE and add the Wii, Wii Fit Plus with balance board, and $50 Amazon.com gift card to your order. It is going to look funny in your cart at first. On the very last page, before you finalize your order. After you've put in your credit card information, the promotion will be applied. You will pay $289 but you will have a $50 Amazon.com gift card to spend on anything else. This deal expires November 22nd. Limit 1 per customer. With the Wii, you get everything you need for one person to play. You get 1 remote, 1 nunchuck and Wii Sports. With the Wii Fit Plus, you get the balance board and the great game. You will pay $300 for this at Walmart. It's an amazing deal!